The Start-to-Finish Library offers your struggling readers a wide-selection of age-appropriate narrative chapter books written at two readability levels. How can Start-to-Finish Library help my struggling readers? The Start-to-Finish Library offers your struggling readers a wide-selection of age-appropriate narrative chapter books written at two readability levels (Gold for 2nd-3rd Grade level, Blue for 4th-5th grade level) and delivered in three media formats. Students accomplish several goals with this unique series: they practice reading fluently and with comprehension using multiple text and electronic supports, while accessing the curriculum’s required topics, genres and literature. As a result, your readers will build volume! Teacher Central puts you in control of Start-to-Finish from one convenient location. Teachers manage class lists, set individual reading purposes, select general preferences and view collected data for every book read. Having access to this information will enable you to make data-driven decisions related to intervention, as well as monitor and report out on students’ progress. How can Library be used? When so much of reading has become about testing and politics, it’s important to get back to what’s fundamental—instilling a love for reading on students who feel beaten down. Mary Ann McGinn, Technology Coordinator and former Special Ed Teacher, will explain how her special education co-op put the joy back into reading for their struggling readers. Strategies that worked to combine the books with plays, movies and curriculum units. You will also learn how her district used the Start-to-Finish data collection tools for both student assessment and confidence-building, and how the books fit into their RtI triangle of reading interventions. 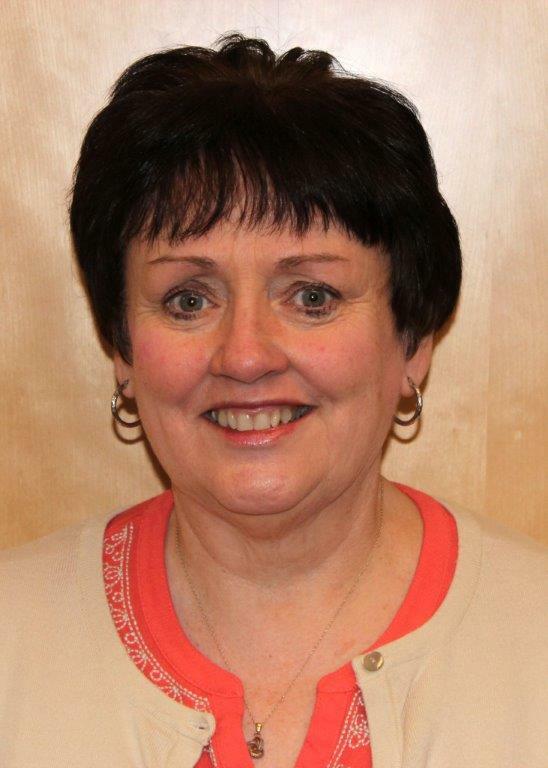 About the Presenter: Mary Ann McGinn, a former special education teacher, is currently the Technology Coordinator for the Northwest Suburban Special Education Organization (NSSEO) in Mt. Prospect, IL. NSSEO provides a wide variety of professional development programs which are rich in research and based in best practices. The special education district, NSSEO, believed that students with complex instructional needs including autism deserve to experience important works of literature like their peers. This would have been unprecedented 10 years ago, but with new alternative assessments coming, districts are looking to develop the core reading skills of the students with complex support needs. Hear technology coordinator Mary Ann McGinn share how her district addressed this challenge through Start-to-Finish CORE Curriculum, a comprehensive literature-based reading curriculum. This change allowed many of the students to hold a chapter book for the first time. Students now have ‘read’ several chapter books including Huckleberry Finn, Frankenstein, and Anne Frank which not only developed core reading skills, but also improved confidence and self-esteem. The curriculum’s lessons guide their teachers to use important works of literature in instruction. Now administrators and teachers see potential revealed in their students. Join this webinar and see how you can adapt your reading program to this new paradigm! Jerry Stemach shares how Start-to-Finish can help your students climb the staircase of complexity. How to prepare your struggling readers for the Common Core standards with Start-to-Finish Online. Watch a demonstration of the Start-to-Finish reading experience, and then see the updated teacher reports that track student reading and comprehension. You’ll be excited to see how this library helps your struggling students enjoy reading and succeeding.Presented by Karen Bess. Read Jason’s Story … How Start-to-Finish Books made Jason Successful! Access a full online version of Building Wings and share it with your colleagues and students. View the winning presentations from Pomfret Community School in Connecticut and Highland Park Junior High in Minnesota. Read reviews here, or click to write your own product review. Product Setting: Inclusion classroom, available for regular and special ed students. Silent reading is offered in many settings. Small group, seat work, or computer time. Anyone that would like to read a Start-to-Finish Book may drop the CD inro the computer and catch up on the classic literature adventures. These are so awesome and bring the words on the page alive for students. Skill Development: Reading comprehension, and an over all love of books, for all students 4th – 12th grade. This product is used in inclusion classroom settings. This way no one is pointed out as being different or unable to read. We have (Drop Everything And Read) DEAR time in all of our schools and finally everyone can participate. What is even more exciting is the conversation that is taking place afterwards. Students are loving books! Students raise their hand to discuss how David must have felt to be ‘Kidnapped’ and how Henry must have felt to have his dream of the glory of the Civil War turn into fear leaving him running from the fighting. The emotions on every page of ‘The Red Badge of Courage’ speak to our students here in the South as they face gangs and violence everyday. But as all great literature the students are also discovering answers to their feeling. This growing passion of books are growing and I believe it is because of the Start-to-Finish Books. Start-to-Finish books (Gold and Blue versions) Product Setting: Self-contained/resource classroom. Skill Development: Improving reading outcomes for students with dyslexia and improving fluency and reading skills for struggling readers. My high school students really enjoy the titles that are offered by Don Johnston. My students love the diversity of the characters and the exciting twists in the plot. I never struggle with my students to read these books. In fact, I stumbled on this (review) page while looking to buy more books for my classroom! Product Setting: Self-contained classroom. Skill Development: Improve reading comprehension for students with autism. This proved to be perfect for some of my students! They could easily navigate the pages. The chapters were short enough that they could remember the material and thus successfully complete the quiz at the end of each chapter. Being visual learners, they also enjoyed the instant gratification of a graph once they completed the quiz. Great product! Product Setting: Technology Center. Skill Development: Learning disabilities, beginning reading, physical adaptations, independence, switch users, listening skills, education, and such. There has been an increase in understanding written word and then learning about technology can be used universally to meet the needs of a student with challenges. Product Setting: We use this in self-contained, inclusion, resource (LD) rooms. Skill Development: Improved participation in regular classroom, improved vocabulary development and reading comprehension. We have a library of over 60 books that we keep in our AT office and loan out by request for 30 days at a time. We have at least 50% of our books out at all times and teachers are always requesting more purchases. Some were purchased through grants, some schools pooled money, and some were ordered with AT monies. The books have been most useful for students to have a real book at grade level in their classroom that they can read in hard copy or on the computer so they don’t look so different than their peers. Product Setting: Special Education. Skill Development: Comprehension. Decoding. Product Setting: Self-contained classroom. Skill Development: Improve reading outcomes for students with dyslexia. Start-to-Finish literature titles are a godsend for my students. When they are assigned independent reading assignments covering various genres (by their general education language arts teachers), they are able to participate along side their peers and create book reports from a wide-variety of titles/genres/reading levels in order to independently complete the task. STF books give them the supported materials they need to participate fully with their peers. Product Setting: Self-contained classroom for 6-7-8th graders. Skill Development: Improve reading skills with students who are challenged by reading, help them be interested and successful in reading. Product Setting: Resource Room. Skill Development: Improve phonologic awareness for child with apraxia and possible other phologic processing disorder. Students were motivated to use this product and read books that they would not be able to read on their own. I saw their comprehension improve. It was also a useful tool to teach content area topics. Students had a better understanding of topics such as slavery, western expansion and were better able to participatein the general education classroom. Product Setting: High School. Skill Development: Articulation therapy within a standard curriculum. Most students who receive articulation training in elementary school achieve sufficient intelligibility and mastery of speech sound production before reaching high school ‚Äî most students, but not all. In high school, teachers may complain about a student’s overall intelligibility, or the student suddenly realizes he or she is entering into young adulthood with speech patterns that are immature and distracting among peers. After all, a person’s voice says a lot about the person, his or her emotional state, sophistication, and demeanor. While these students may be motivated to “fix” their speech once and for all, their schedules often preclude time for speech therapy. Along the way, students learn new vocabulary that is useful in the classroom. I ask my students to take the quizzes at the end of each chapter ‚Äî another opportunity to practice the habits of good speech and to work on comprehension. Finally, Start-to-Finish includes a fluency recorder. Students record themselves for a first-hand evaluation of their speech. The recordings make for great pre- and post- comparisons. Product Setting: Self-contained special education Life Skills classroom. Skill Development: Improve reading fluency and comprehension for students with autisum/learning disabilities/ mental retardation/multi-handicaps; Address grade level standards at students’ level (exposing to grade level material/expectations). The Story of Anne Frank – I used this particular book with my entire class using my ActivBoard and projector. I was able to modify the different students’ levels of participation by differing methods of presentation. For my students who read at a 2nd/3rd grade level or above, I would have them read one or two sentences off the screen and then have the computer reread what they read so that they could hear the “voice” and fluency. For my middle level students, I would have them first listen to the sentence and then read it themselves aloud, clicking on individual words that they had difficulty with. For my lowest level group, they would be responsible for either being the “WandMaster” and following along on the AB as a peer read, moving the ActivWand to each word and clicking when the word was needed (with staff support) or having them read the title of each chapter with the computer reading it first for them. As the book progresses, I would also have this group listen to a sentence being read by the computer, read it themselves, and have the computer read it again to aide in the fluency and retention of new vocab. It was amazing how the students bought into reading about a key piece of history that they were also studying in the general education 8th grade classes. The students in my program were able to carry on discussions about Anne Frank with their peers at lunch and on the bus. Students were highly engaged in the process of reading using the DJ books, and their comprehension greatly improved (based on the end of chapter comprehension quizzes). I also used these same quizzes to gauge the individual student comprehension by giving them a printout of the quiz first to answer independently and then the class would take a whole group quiz on the same questions. We did the fluency practice probe as a large group first, then just half of the group (and then the other on the same passage), and finally as individual students, using a stopwatch to keep track of the time. These types of books have really opened the world of reading to my students, not just the fiction books but also the non-fiction content. All is presented well and the students all want to choose the next book to read. Students now want to read, when in the past all I would get is moans and groans when it was time for Reading. Product Setting: Resource Room and Standard Classroom. Skill Development: Increase Reading fluency and comprehension. Using these books was so helpful to my students who needed extra help with fluency and comprehension skills. They loved doing the books on the computer and reading to peers and their families. It was wonderful to see these students to fell confident to read to others. We practiced the stories and read them to the younger students in 2nd grade. Thanks for making another great product. Product Setting: I’ve used this product in an inclusion and self-contained classroom. Skill Development: The skill-development area that I targeted with the Start-to-Finish product was to improve reading outcomes with cross-categorical students and with a student in a self-contained classroom with Emotional Behavioral Disabilities. Product Setting: Resource Room. Skill Development: This was used to increase interest in reading for a student who had tremendous difficulty. As a reward, I used a series of these readings after a student finished phonics and writing practice. He looked forward the independence and the interesting stories these provided. Product Setting: As Inclusion Strategists for the special education department I keep the library in my office. Skill Development: Reading and reading comprehension for students in special education that are showing a reading disability. Teachers check out these great resources as they would any library book. I can barley keep the Start-to-Finish books on the shelf! They are amazing. Students, Jr. High to High School, that are not reading on grade level are able to read Macbeth, Hamlet, King Lear, Romeo and Juliet and Homer. They are writing book reports and participating in class discussion along with their peers thanks to these wonderful books. Product Setting: The students use this mostly in the regular classroom. Skill Development: The Start-to-Finish Library was used as an intervention in the regular classroom, to encourage reluctant readers, to aid in reading fluency. Product Setting: Resource room. Skill Development: Improve reading comprehension, fluency, and building vocabulary. I have used several of these books this year. I give the students the chance to read what their peers are reading but at their reading levels. Product Setting: The STF books are used in a fourth grade language arts resource setting.There are approximately 8 students in the classroom. Skill Development: The resource room teacher Ms. C. uses the STF books to improve reading skills and motivate her students to read age appropriate books. She was skepitical at first becasue she felt as the students would not gain any new skills. She did some research on the STF books and found some information that made her see this approach to reading was great for students. Ms. C stated that the students work really hard on completing assignments so they have a good amount of time to read their STF book. The students love their independence in reading. The students like to see their testing data and graphs at the end of each chapter, they feel a sense of pride in their reading accomplishments. The teacher is very excited that the students complete a STF book and ask for another book. She has just with the help of her students selected more titles to order that fit their interests. One of the major outcomes is that a student who has never finished a chapter book independently has completed his first book. What a sense of pride. A second experience is that students like to show off their data graphs and the parents like the graphs as well. Product Setting: AT demo and preview lab. Skill Development: Improved reading motivation, comprehension and fluency; UDL and core curriculum support. This is a great product for UDL in the classroom, meeting the various needs of students with one product package. Schools love the extensive library and the 3 separate modes of learning in each pack. Kids love the “real voice” narrators and find the software intuitive and easy to use. Product Setting: Education– self-contained classroom. Skill Development: Improving reading comprehension for students with severe needs and physical access issues. The voices are GREAT. They are very engaging for students. My students have even asked me for more titles when they have finished a book. It has been very exciting! I have found that the scanning capability is very disappointing and difficult to maneuver through for my students who are single switch users.